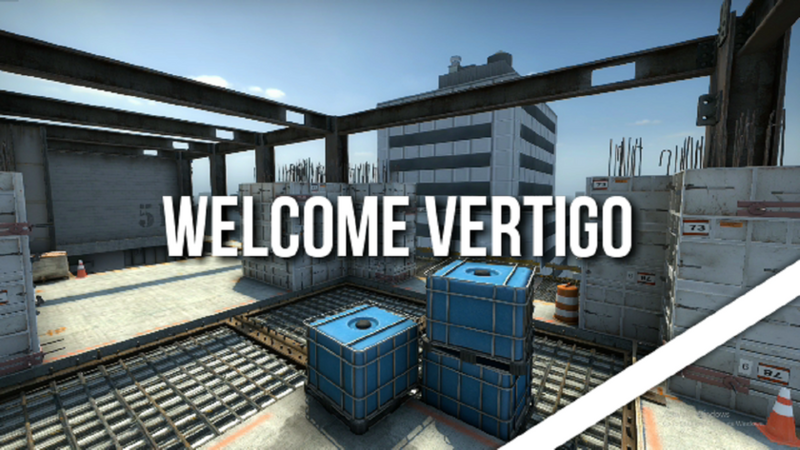 Cache's remake has led to Vertigo being introduced into the competitive map pool. Cache was reported to be removed from the map pool some time ago as rumors started to circulate regarding a remake of the map by one of the map's creators FMPONE. That left an opening for Vertigo which had already been featured within the game from October 2012. The old Vertigo was for the most part well received. 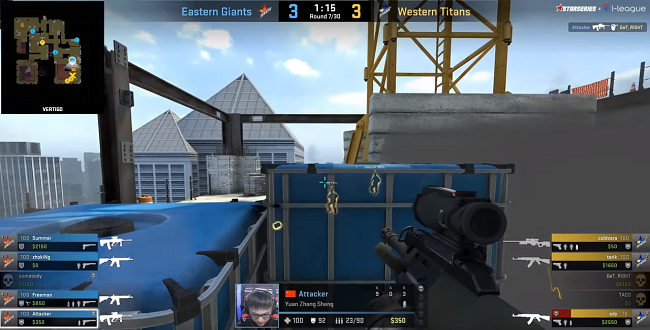 It gave countless comedic moments as players would fall off the edge by accident, however, it failed to gain the status of an elite map for competitive play among pro players as well as the community. The Vertigo map that we see today has been tinkered with significantly and has been 'under construction' for some time. Of course, as with any map that's being introduced into the competitive map pool - it needs to be free of any bugs that could affect gameplay especially if it's to be used in significant tournaments such as the upcoming Blast Pro Series Miami or god forbid a major in the future. Fortunately, opening the map up to players in matchmaking has allowed for some of those bugs to be exposed before competitive play within the professional scene and Valve have been quick to respond and roll out patches which have fixed most of these issues. All maps in the competitive map pool have had changes to them throughout the years, therefore one shouldn't expect a map to be perfect before releasing it into the competitive map pool. Vertigo isn't perfect —it has its flaws, but it also has an insanely high ceiling. It's different for sure but not unplayable. It's a playground, a map that offers variety and actually caters for a whole host of playstyles. In fact, Vertigo as a map offers so much more gameplay wise than some of the most iconic and respected maps out there today and as a viewer this fast-paced dynamic playground may not be as refined and 'esports ready' as one would hope but certainly acts as a top-tier venue for entertainment as many of us found out as Coldzera fell as the first victim of Vertigo. It's not that Vertigo is the best map in the game, it just shouldn't be dismissed as a competitive map. It also shouldn't be a placeholder just for Cache. It has lots of potential such as the varying heights throughout the map which add another element to the game that we haven't seen too much throughout other maps. There is always a need for alertness, the quick rotations from one bombsite to another allow for last minute fakes, last-second decisions and constant doubt in players minds as they always need to be prepared. The map is small but versatile, players have to remain on their toes with lurkers being a constant nuisance as they can quickly advance to locations one would least expect. The map plays with the idea of high risk, high reward. It rewards risk takers, players that make the jump but don't fall like Coldzera. It's designed to compliment quick thinkers, decisive minds and innovators who can make the most of the maps versatility. It has shades of Overpass with multiple boost spots for information, it's quick rotation and multiple levels. Nade usage is also heavily important with such fast-paced action I could only imagine the carnage as a full set of utility reigns in from above as the terrorists decide to fake and go to the opposite site with seconds to spare. Only time will tell if Vertigo succeeds but from the few games thus far, it could just be the map that we never asked for but will forever treasure. Let us know in the comments what you think of the map! Do you think Vertigo is ready for competitive play?